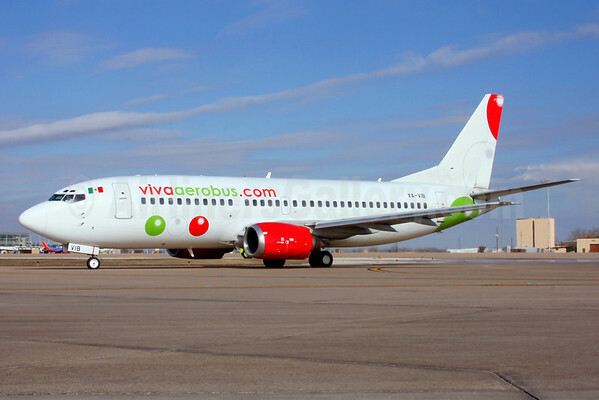 Irelandia Aviation and Grupo IAMSA, owners of Mexico’s low-cost airline VivaAerobus (Monterrey) and the Colombian airline VivaColombia (Medellin), announced their intention to expand the Viva airline brand in Central and South America. Grupo Viva is being established as a multinational airline holding company based in Panama City, Panama. The new company will be responsible for the further development of the Viva airline brand beyond current operations in Mexico and Colombia, maximizing cost synergies and operational efficiencies across the group and centralizing key management functions. Grupo Viva is chaired by Roberto Alcántara Rojas, also Chairman of the Board of VivaAerobus and Grupo IAMSA. Irelandia Aviation Managing Partner Declan Ryan will be a principal investor. Tony Davis, currently Partner and COO of Irelandia Aviation, has been appointed CEO. In addition to working with Irelandia Aviation for the past three years, Tony has an extensive track record in establishing low-cost airlines around the world, and he has been closely involved in the recent development of VivaAerobus and VivaColombia. Tony will be responsible for the creation of the Group’s corporate structure and management infrastructure over the next 12 months. Joe Mohan, who is joining from his position as Senior VP Commercial at COPA Airlines, has been appointed President and COO. Joe has worked in Central and South America for more than 10 years and led the commercial function in one of the region’s most successful airline groups, consistently achieving impressive growth and profitability results. He also brings direct experience of helping lead a high-performing Latin American company listed on the New York Stock Exchange. Joe will be responsible for the expansion of the group’s regional coverage and improving cost synergies and operational efficiencies for airlines in the group. Top Copyright Photo: Fernandez Imaging/AirlinersGallery.com. VivaAerobus (vivaaerobus.com) Boeing 737-3B7 XA-VIB (msn 23378) taxies at Austin, TX. Bottom Copyright Photo: Greenwing/AirlinersGallery.com. 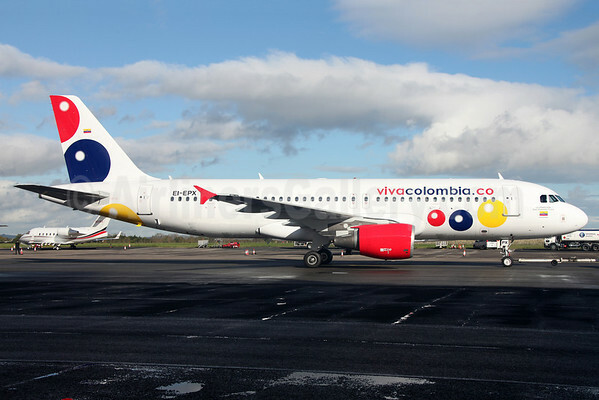 Formerly operated by OLT Express, Airbus A320-214 EI-EPX (HK-4905) (msn 1454) is now with VivaColombia (VivaColombia.com). This entry was posted in Viva Aerobus, VivaColombia and tagged 1454, 23378, 737, 737-300, 737-3B7, A320, A320-200, A320-214, Airbus, Airbus A320, Airbus A320-200, AUS, Austin, Boeing, Boeing 737, Boeing 737-300, Central and South America, DUB, Dublin, EI-EPX, Grupo IAMSA, Viva Aerobus, VivaColombia, XA-VIB on October 4, 2014 by Bruce Drum. 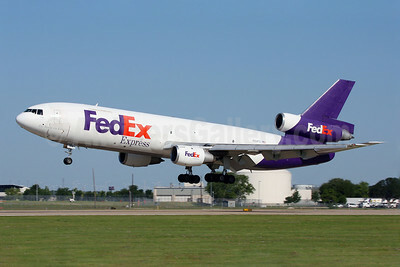 This entry was posted in FedEx Corporation, FedEx Express, UPS-United Parcel Service and tagged 48312, AUS, Austin, DC10, DC1030F, FedEx Corporation, FedEx Express, McDonnell Douglas, McDonnell Douglas DC10, McDonnell Douglas DC1030F, N314FE, transportation, UPS-United Parcel Service on July 18, 2012 by Bruce Drum. Alaska's Boeing 737-890 N568AS (msn 35183) is ready to push back from the gate at AUS on the first revenue departure after a departure ceremony. Copyright Photo: Joe Fernandez/Air 72. Alaska Airlines (Seattle/Tacoma) yesterday (August 3) started the SEA-Austin route as AUS becomes its newest city. This entry was posted in Alaska Airlines and tagged 35183, 737, 737-800, 737-890, Alaska Airlines, AUS, Austin, Boeing, Joe Fernandez, N568AS on August 4, 2009 by Bruce Drum.